As the March 11 deadline approaches for churches who wish to apply for Lockmiller grant, it’s a good time to look at some of the programs and people who have benefited in the past from such funds. Last year, 27 churches and organizations were awarded grants ranging from $500 to $2,000, boosting programs that include tutoring, summer camps, English as a second language, back-to-school packs and life skills. Most of the grants, however, went to feeding programs for kids. According to Rick Bennett, director of Justice and Outreach Ministries for the Florida Conference, Lockmiller monies do a lot to support the mission of the Partnership to End Childhood Hunger, a collection of non-profit groups including the Florida Conference. This year, $25,000 was specifically designated to help United Methodist churches and agencies reach into the community to meet the needs of children and youth and their families in economic or social distress. The Coalition for Advocacy and Ministry with Children, a cooperative effort between the Conference and community groups, is responsible for distributing the Lockmiller grants, Bennett said. “We have connected Lockmiller grant-giving to not just outreach to children in the community, but also to three specific steps in the (Partnership’s) Ten Point Plan. We also use our influence as churches receiving summer meals to advocate for healthy, high quality meals for all of the children in that county,” he said. 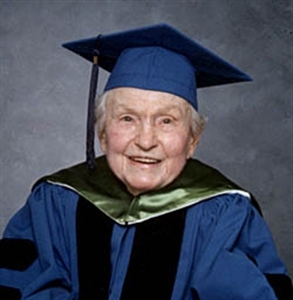 The Lockmiller grants are made possible by funding from Florida philanthropist Alice W. Lockmiller (1910-2007). She was successful in business, real estate and citrus and became a leader in Florida agriculture. She was also a life-long Methodist with a loving dedication to the church and its missions. She established numerous funds that still support missions, construction, education and ministry initiatives designed to help children and youth. A significant group of Lockmiller trusts---totally approximately $3.7 million---is administered by the Florida United Methodist Foundation, according to vice-president for communications Suzanne McGovern. These trusts help sustain a variety of programs both in Florida and abroad. One initiative that has been able to build as a result of grants from Lockmiller is the Pack-a-Sack ministry carried out by at least three UM churches in the Conference. Volunteers at the churches prepare sacks of food that are distributed to kids on Fridays to make sure they will have food on weekends when they don’t have school meals. At Palm Harbour UMC, the group has gone from preparing lunches for ten students to 36 students at the feeding program at the Calvin A. Hunsinger School for children with special needs. “People are so fired up about it (feeding the kids),” said Ron Evers, Director of Mission for the church and point man for the effort. A key provision of the Lockmiller funds, according to guidelines published by the Florida United Methodist Foundation, is the incentive to increase local ministry rather than simply maintain what is already going on. “Applications must either show goals for increasing current ministry in specific ways or be adding new components to their ministry,” the document reads. “The Lockmiller Grant cannot be a source for ongoing support---even for exceedingly worthy ministries.” The net result is the addition of new or revamped outreach programs as local funding is solidified, and Lockmiller monies are freed up to facilitate other enterprising ideas. To find out how your church can be involved with a Lockmiller grant, contact Justice and Outreach Ministries at the Florida Conference of The United Methodist Church: 800-282-8011, ext.504, or rbennett@flumc.org. Also, click here for online information and the grant application.